Our friends at Millenium came up with a great new use of the Toornament API by creating a whole new system to generate a Clash Royale Ranking throughout all of their tournaments. 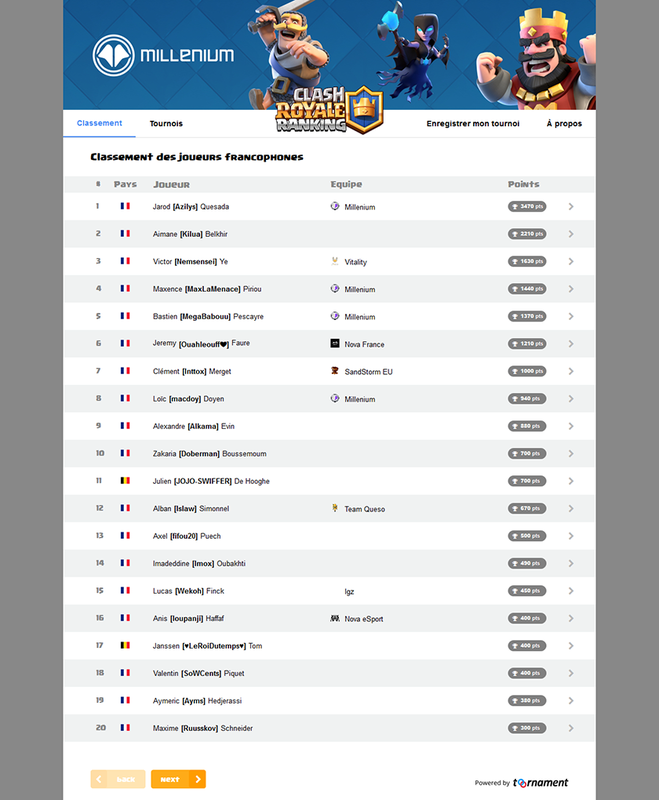 By importing a Toornament ID into the system, it automatically isolates french players (as the Ranking is for national players only), attributes them points depending on their tournament position and the tier of the tournament, and updates their ranking accordingly. One more example that you can create amazing tools with our API (see the Developer Documentation), and there are many other ways Toornament can help you improve your Event Production!